A dramatic surge in interest from wealthy Chinese is threatening to overwhelm a U.S. program offering investors green cards in exchange for cash. The number of applicants is now so great that the government might run out of permits. Any foreigner willing to commit at least $500,000 and create 10 jobs in America can apply for an investor immigrant visa -- also known as an EB-5. The demand from mainland Chinese eager to move abroad has already led the U.S. government to warn the program could hit a wall as early as this summer. 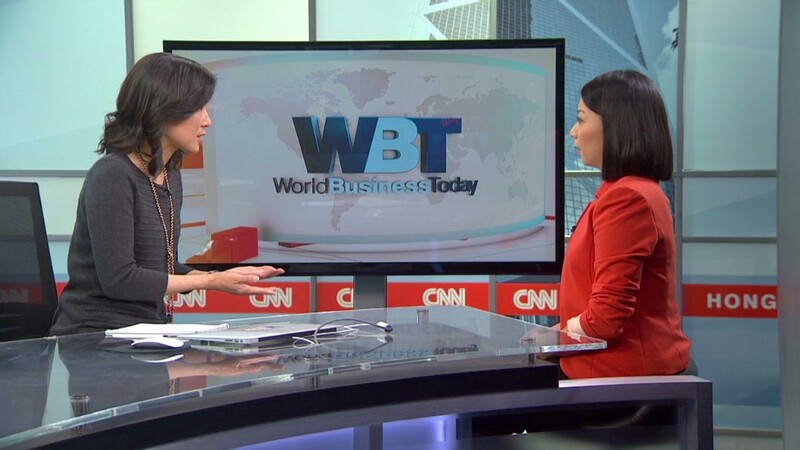 Chinese nationals account for more than 80% of visas issued, compared to just 13% a decade ago, according to government data compiled by CNNMoney. 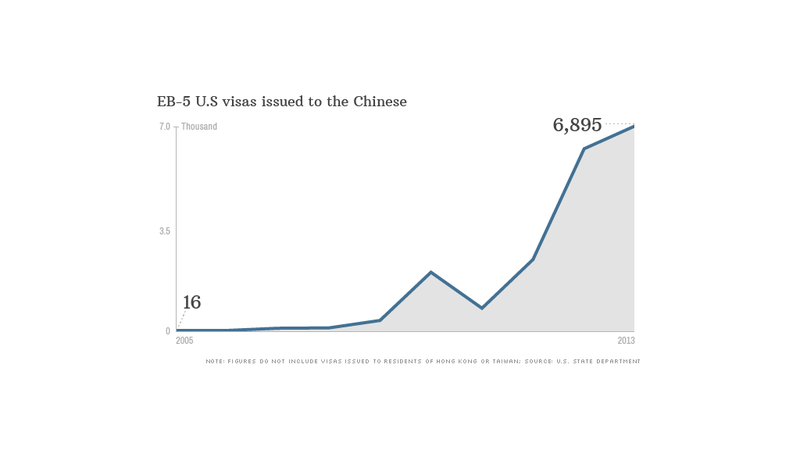 That translates to nearly 6,900 visas for Chinese nationals last year, a massive bump up from 2004, when only 16 visas were granted to Chinese. "The program has literally taken off to the point [that] in China, the minute anybody hears I'm an immigration lawyer, the first thing they say is, 'Can we get an EB-5 visa?' " said Bernard Wolfsdorf, founder of the Wolfsdorf Immigration Law Group. "There is a panic being created in China about the demand [getting] so big that there is going to be a visa waiting line," he said. The EB-5 program is limited to 10,000 visas per year, a number that includes visas granted to an investor's spouse and children. At the moment, there are 7,000 applications pending, said David Hirson, a partner at immigration law firm Fragomen. If just half are approved -- and each investor moved with two family members -- the program would easily surpass its annual limit. Immigration lawyers said that even more applications have been made since Canada ended a similar program last month that was also popular with Chinese. For rich Chinese, opportunities in America are attractive. A green card offers a way to send their children to college, escape heavy pollution and enjoy an improved quality of life, said Kate Kalmykov, an attorney with Greenberg Taurig. Plus, the EB-5 program is relatively cheap. "The cost is very reasonable in relation to other countries," Hirson said. Australia, for example, requires a $4.5 million investment -- nine times the minimum required in the U.S. The comparatively low cost makes the program a viable option for increasing numbers of Chinese -- especially as household wealth in the country booms. China now boasts more than one million millionaires, according to a study by Hurun Report, an organization that tracks wealth in China. The program's popularity has even spurred a cottage industry of investment consultants, immigration specialists and specialized relocation agents that cater specifically to the Chinese, Hirson said. Supporters say immigrant investors have provided an important alternative source of financing, benefiting projects from Brooklyn's Atlantic Yards real estate development to a North Dakota factory that makes biodegradable food containers. But there are plenty of critics, too. Some argue that the program is a way for the global elite to buy U.S. citizenship. Others say the scheme has too much red tape, and believe parts of it are mismanaged to the point of fraud. Long visa waits or not, there are no signs of interest waning in China. "The U.S. remains the most attractive country for them, because of its freedoms and its ability to cater for individual needs, including the Chinese culture," Hirson said. "It's a very comfortable transition physically."